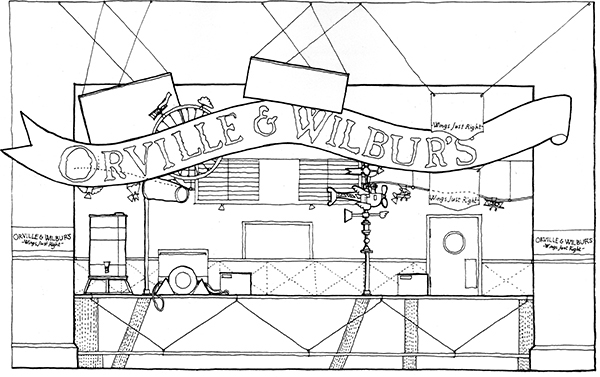 Orville & Wilbur’s Wings Just Right was a Levy Restaurants concept created for airport and sports arena food courts. The fun, yet, focused design infused typical counter-style experiences with aviation imagery, while referencing the historical magnitude of the history of the Wright Brothers. 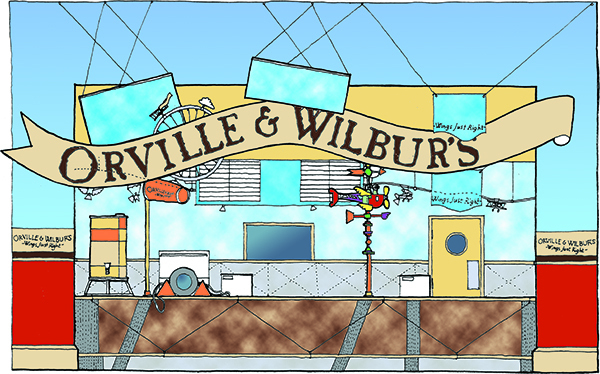 Wind sox, spinning propellers, and clouds added an airy aesthetic, while pseudo-fuel tanks offered water, landing gear held serving utensils, and arrival and departure boards suggested the menu; all of which helped a utilitarian take-out experience take flight! Interior Architecture: Architecture Is Fun, Inc.